A few weeks ago, Playschool was coming to town. Well, not our town, but one a few hours away. My sister and I decided that we would road-trip it and take our three boys. Alas and alack, my nephew came down quite sick the night before and our plans were dashed. I decided though, that I would do something special with my boys by myself anyway. I didn't want to do the big drive to Playschool on my own, so I chose something a bit closer to home and took the boys to "Snakes Downunder Reptile Park & Zoo". It was such a fun day out. The term 'zoo' might be a bit far-reaching, but reptile park it is indeed. When we arrived, we literally had the whole place to ourselves, and the non-venomous snake show was about to start. 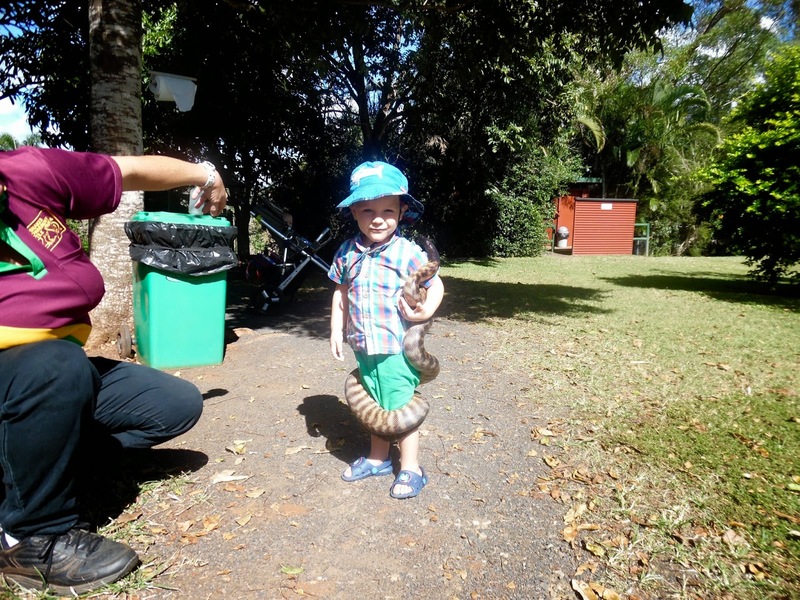 Reuben enjoyed seeing all the big snakes, and also one very special "dinosaur" (read: baby crocodile)... but the fun was just beginning. You see, after the show, the handler brought out one of the large pythons, and the said dinosaur, and let us have a hold! It was so cool that we were the only ones there at that point; no waiting around for the boys, and we got to spend as much time with the creatures as we pleased. Reuben was keen to hold both animals-- I myself was not quite so keen. 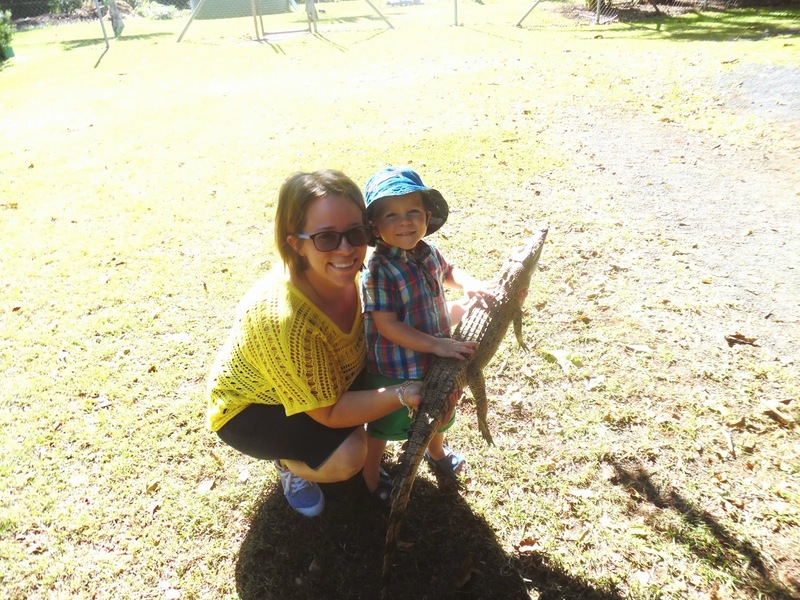 Unfortunately, I was required to help him hold the crocodile as it was much too heavy for him to have on his own. It was well out of my comfort zone to do so, but he was beside himself with excitement. And not to worry, as Reuben explained to my mum, the dinosaur couldn't bite him, because he had sticky tape on his lips. Ha! I know I should have corrected him about the whole dinosaur thing but it just bought him such a great lot of joy to think of it as a dinosaur that I couldn't bring myself to do it. Holding a crocodile. You wouldn't do this at a Playschool concert! Note my very forced smile. Next up was the creepy horrid snake. Reuben again couldn't have been more excited to have his hold. The handler wound the snake around his body, and Reuben giggled as the snake explored around his neck, flicking its tongue in and out. I took a bunch of photos of my little man, cool as a cucumber, with this gigantic snake wrapped around his body. He handled it really well; only freaking out a tiny bit when the snake tightened its grip around Reuben's legs when it started to slip down at one point. The handler offered Mama a hold, but I was nowhere near as brave as my cool little dude and politely declined. "Yeah, that's right, I'm holding a snake". Coolest dude. 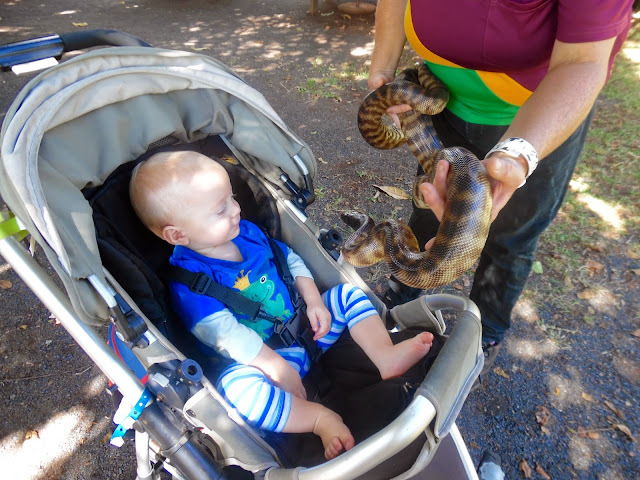 Quinten was sitting in his pram while all this was happening, but as the handler unwrapped the snake from Reuben, he started to call and reach out toward it. He was, of course, too little to handle the snake properly, but the handler head it over him in his pram, and Quin was delighted about the whole thing. He had a pat, the snake flicked its tongue all over Quinten's feet to check him out, which Quin thought was completely hilarious. Do you think Quinny's a parseltongue? Once all that was over, we explored the rest of the park and said hello to all the other animals. We watched a koala presentation which the boys were pretty underwhelmed by-- the Koala's were sitting with their backs to us and pretty much just ignored us. The koala's weren't in the mood for being show ponies today. The kangaroos were a bit more accommodating, and we spent quite a while hanging out with them - once we got brave enough to sneak past the Emus who were guarding the gate! They are rather big and intimidating creatures! Reuben was so cute talking to the kangaroos. Quin was pretty intrigued with these guys too. We saw a gigantic four metre crocodile (from a distance) and explored a snake house filled with dozens of extremely venomous snakes which totally gave me the heebie-jeebies, even if they were well and truly contained within their glass cages. Yeah... we ain't holding that one... and he sure ain't holding us! It was such a fun day out with my boys... Especially Reuben. I am beginning to discover that he responds really well to quality time, and doing something like this where it just us, was really good for both us us. I definitely need to do more of it! Any outing that ends like this is good with me! 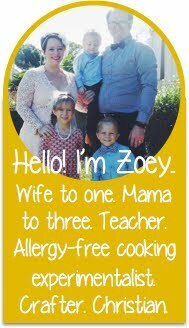 Do you like to take your kids on dates? Any ideas about other places I can take my boys? Would you have held the snake!!? ?